Impressive ride quality. Very practical and family friendly. Good engine selection. Touchscreen interface isn't the easiest to use. Useless glovebox. 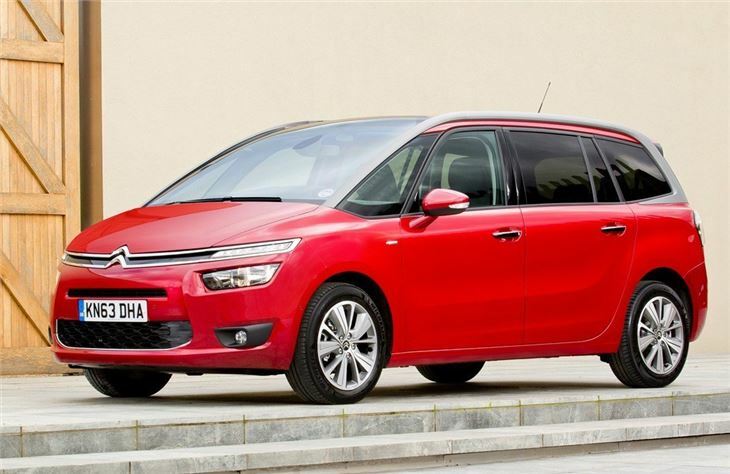 When it comes to MPVs, particularly those with seven seats, finding anything with any amount of style or panache is very difficult – or at least it was until Citroen launched the C4 Grand Picasso. 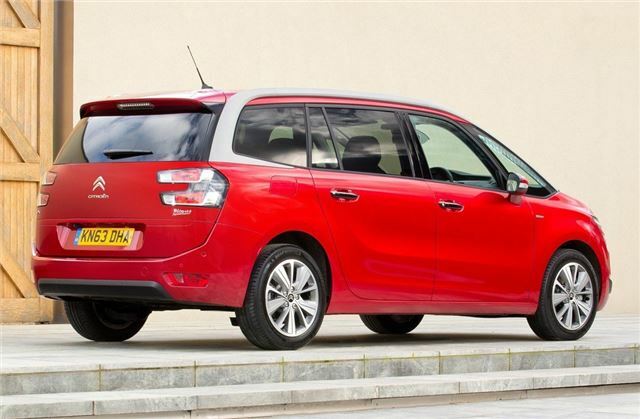 The biggest people carrier in Citroen’s range looks genuinely different from traditional boxy family-movers. Thankfully the designers didn’t forget about practicality. 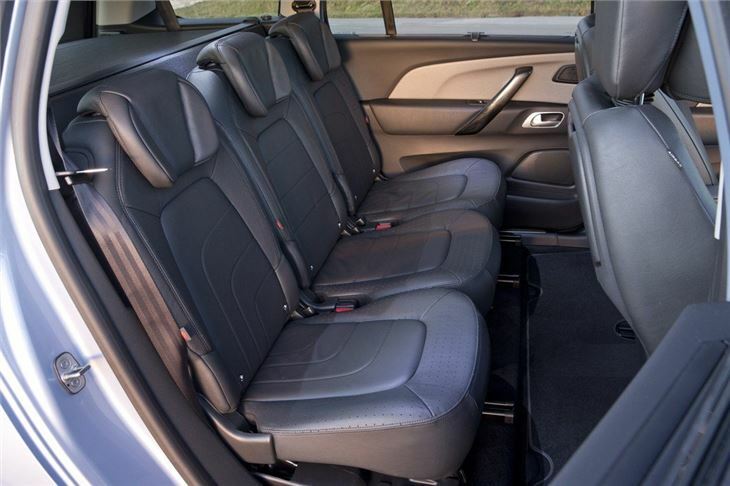 The new C4 Grand Picasso is extremely spacious, with mountains of front and rear legroom. After a few minutes of familiarisation, all the mechanisms for shuffling and folding the seats are straightforward and don’t require much effort. 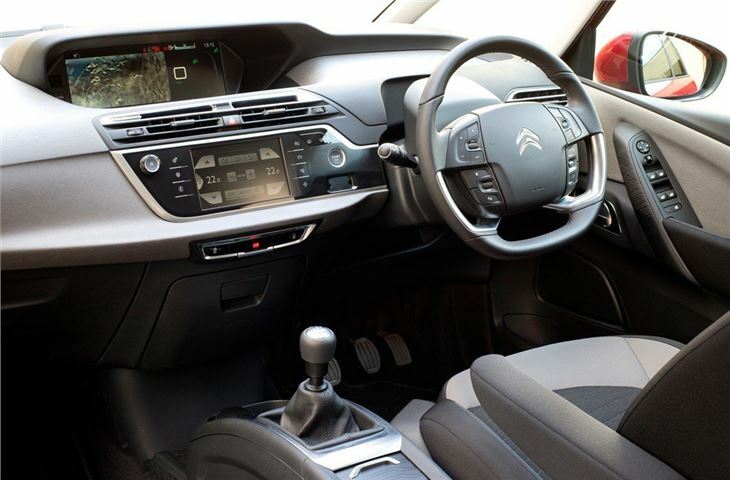 Indeed the C4 Grand Picasso’s biggest strength is its versatile seating arrangement and spacious cabin. The middle row is big enough for three adults and has Isofix mounting points for three child seats. There’s also a third row of two seats, which fold out from the floor easily and can seat a small adult at a push. They’re better suited to children though. 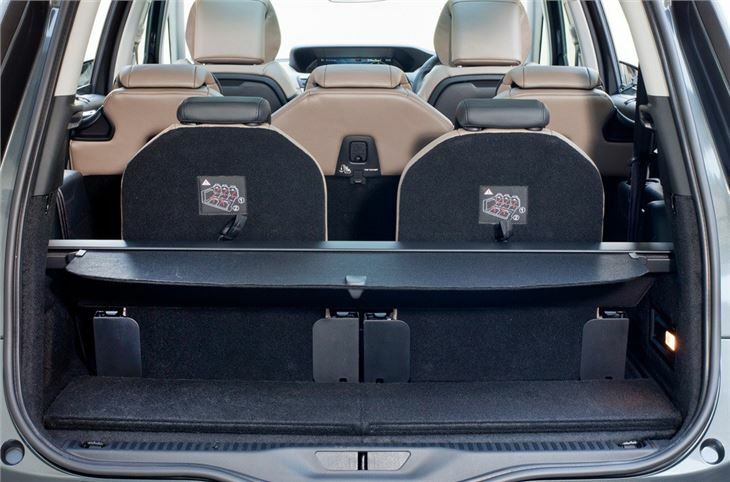 There is generous boot space with the third row folded flat and the load volume can be expanded by sliding the middle row forward. It grows to a colossal 2181 litres with the middle row folded flat and if you have a long object carry the front passenger seat also folds on top spec versions, making it possible to stow loads of nine feet in length. It might be practical, but the C4 Grand Picasso isn’t without its flaws – some of the interior plastics feel cheap and the glovebox is all but useless because the fuse box hasn’t been relocated for right hand drive. That said there are plenty of cubby holes, plus neat features like a removable torch in the boot and flip-up picnic tables in the seat backs. The engine range is straightforward, with a petrol and three diesels. They're all very good, so you can't really go wrong, but if you regularly carry a fully-laden car then the extra torque of a diesel will come in handy. 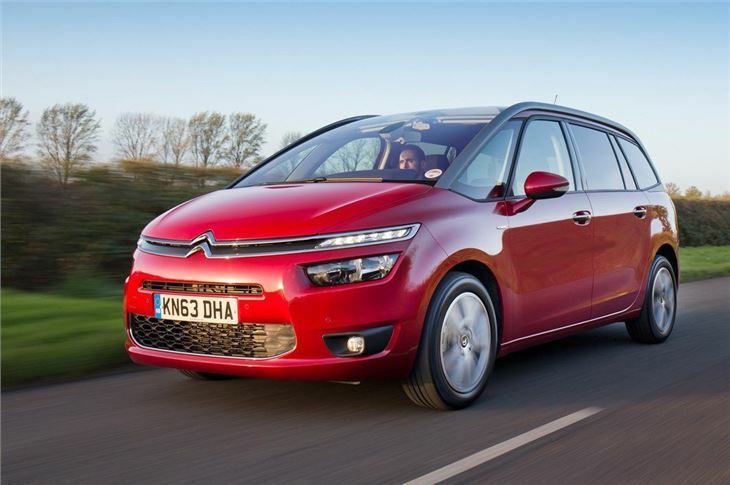 The C4 Grand Picasso is at its best with the smooth EAT6 auto transmission too, which is only available paired to a diesel engine. 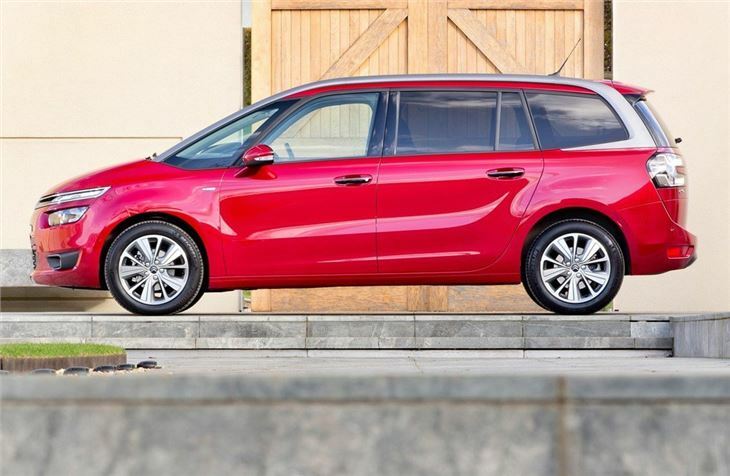 The Ford S-MAX is a more enjoyable car to drive, but if you're more concerned with comfort than surprising B-road dynamics you can't go too far wrong with the Grand Picasso. It's huge, family-friendly and relaxing, plus it comes with a good level of equipment even in the basic Touch trim level. It's even competetive on price, so it's very easy to recommend.